Politeness – Thinking of others and consider their viewpoints before acting or speaking. Use your manners always. Ask permission to borrow supplies. Think before you speak. Respect – Treat others with kindness and consideration. Remember we are a community. Speak to each other kindly. Refrain from using profanity. Take care of school and supplies. Voice your opinions politely. Integrity – Act with integrity and honesty while always doing your best work. Complete your own work with academic integrity. Own your mistakes. (Self-)Discipline – Accept responsibility for your actions, your belongings and your behavior. Turn in your work on time. Bring supplies to class. Keep track of your own belongings. Embracing Opportunity – Demonstrate your love and support for others and the endeavors of our community. Try new things! Set a good example for others. Build each other up by being positive and supportive. Find ways to help others. Remember to always be your best self! Students are evaluated by the teachers based on the PRIDE acronym, with marks being reflected on progress reports, project reports and on report cards. We know that transition points are exciting and can bring on the butterflies. That’s why our students know they’ve always got a buddy. 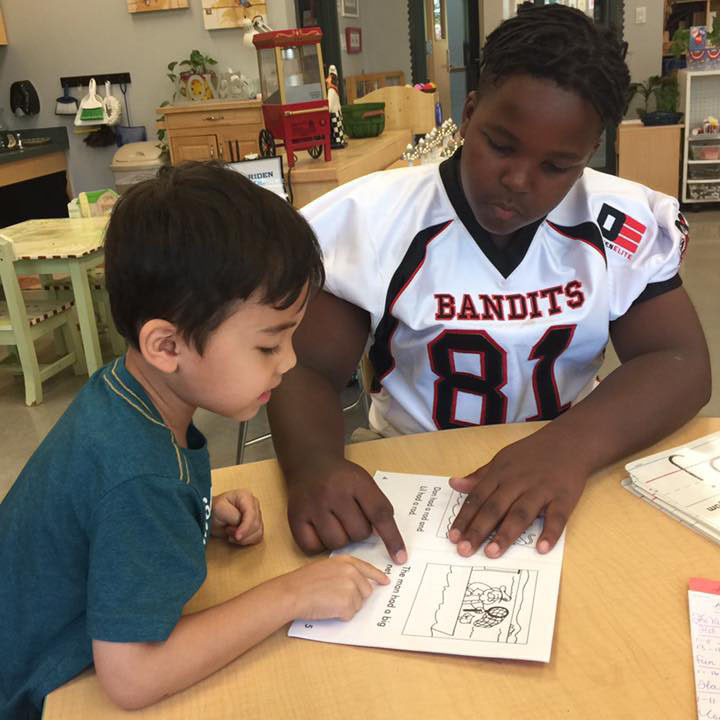 When we are little, we learn to practice reading with a reading buddy each week. When we grow up we look forward to helping a little one. We learn to model our first presentation of learning by attending an older student’s big day and then smile proudly when they come to cheer us on. We partner with an older lab buddy for our first dissection as we move from elementary to middle school and we help another in turn as we advance. Then we line up the whole school to “clap out” our seniors as they walk down the walk one last time on their graduation day. We call this “bridging” where students have the ability to visit the next grade level on multiple occasions before transitions happen. That way, we make sure that students have the opportunity to start to prepare socially as well as academically for grade level changes. We stand up for each other, day in and day out. 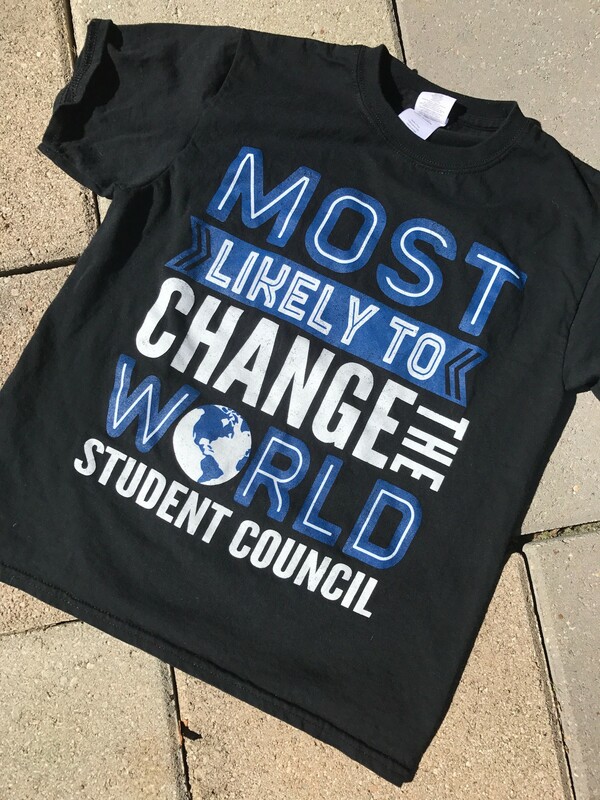 Students Council is yet another way our students can use their voice. We hold annual elections with campaigns and speeches. We put a Clariden twist on things by having one of our students code the voting software that we use while our candidates design their own flyers and posters to show their unique qualities. Student Council members meet weekly with our Head of School and work on projects, problem solving and fundraisers. They also have leadership development opportunities throughout the year. Students self-organize volunteer efforts throughout the year. They are empowered to use their voices and write up their proposed activities for review by the Head of School. This not only teaches how to open your heart, but also fosters ingenuity in learning how to propose solutions for those needs. 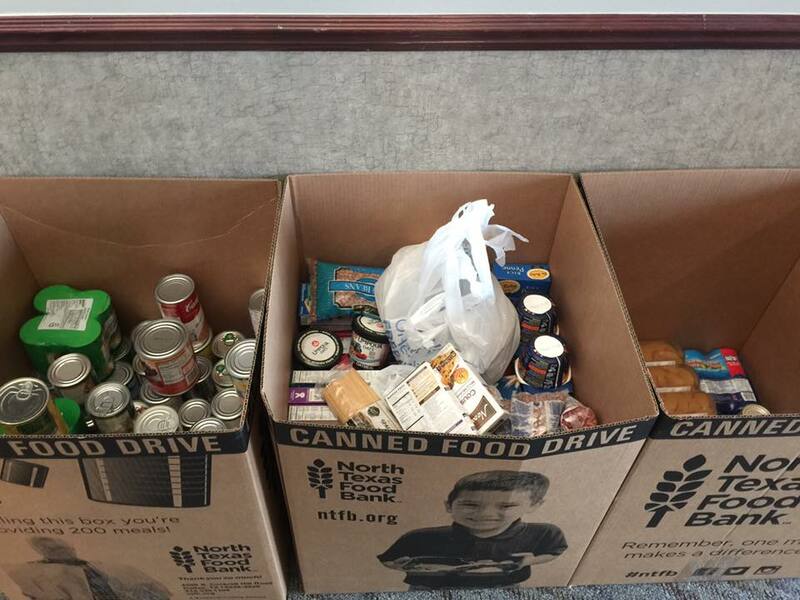 From food drives for the local food bank, to pet supplies for the local animal shelter, to participating in our D.I.G.s (Do It Groups) that help our school thrive — parents and students come together as a Clariden community to create some pretty special things.